The present church, designed by Sir Robert Rowand Anderson, was opened for worship on 21 May 1890, although an Episcopal community had been meeting in the Corn Exchange from 1874. It's a good example of the Victorian Neo-Gothic style, with some beautiful woodwork and stained glass. Unlike many Gothic buildings, it has a marvellous feeling of light, due mainly to its large, clear glass west window. The design of the roof interior represents the hull of a boat to reflect Dunbar's fishing heritage. It was described by the late Eric Stevenson as the best timber roof in Scotland. St. Anne's includes a very fine organ built by Henry Willis (1812-1901). At the time of its installation, George Martin, the organist of St Paul’s Cathedral said, “a more perfect instrument of its size could not be built, both as regards to workmanship and quality of tone”. Read more in this Brief History. 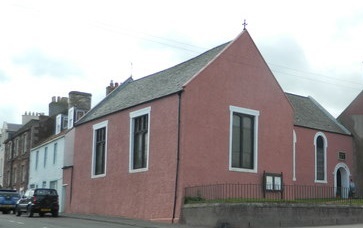 Built in 1764, Dunbar is Scotland's oldest Methodist church and was a favourite of John Wesley. 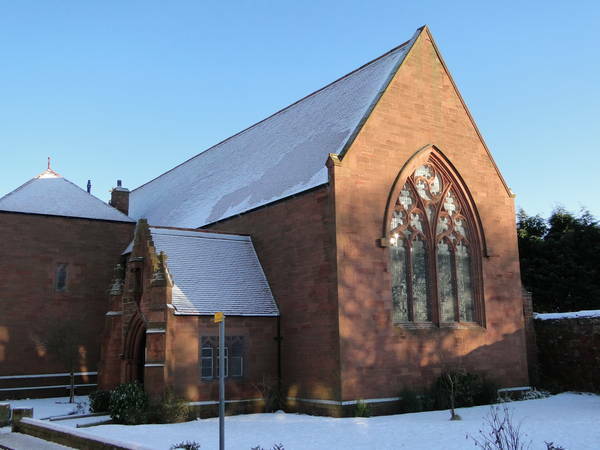 Both John and his brother Charles were Trustees, and John preached at the Dunbar chapel on 21 occasions. In his diary entry on 17 May 1770 he wrote “In the evening I preached at the new house at Dunbar, the cheerfullest in all the Kingdom”. The church features Victorian stained glass and an oak pulpit from St Giles' Cathedral, Edinburgh. It's not clear how they ended up in Dunbar. One theory is that the glass was rejected by the cathedral because of a spelling error on one of the windows. See if you can spot it!